Blocks dust mites and their allergens without the use of chemicals using our exclusive AllerRest Fabric®. 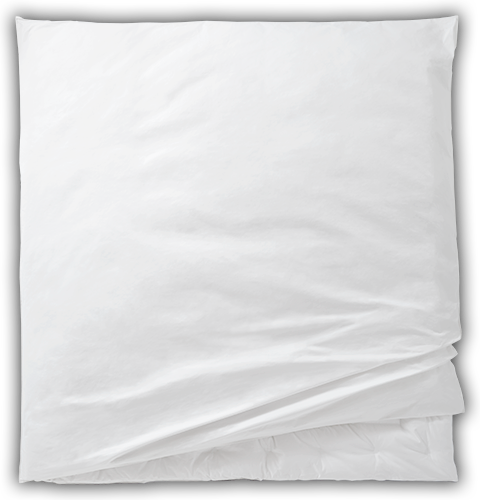 It fully encases your comforter to keep it cleaner longer and give you years of enjoyment. Machine wash and dry for easy care. An excellent product, with all the health-friendly features one could want in a comforter protector, plus it is smooth and crisp. It's nice enough to be used without an additional duvet cover. Service was fast, and I'm very pleased. Sleep with the peace of mind of knowing your comforter is fully protected inside our AllerRest® Comforter Protector. Our exclusive, specially woven fabric is lab tested and designed to block dust mites and their allergens without the use of chemicals or pesticides. Your comforter will stay cleaner longer and provide you years of sleeping enjoyment. The AllerRest Fabric® is 300 thread count, 100% cotton and can easily be machine washed and dried making care as easy as can be.